Write a Review For AIS Media, Inc.
AIS Media delivers high-performance digital marketing proven to helping companies drive growth by dominating search engine rankings, drive site traffic and convert visitors into leads and sales. We specialize in SEO, PPC, Social Media Marketing. Over 20 years of experience. Hundreds of clients ranging from tech startups to Fortune 500 corporations. Dozens of awards. Top ratings and reviews. Put our team of experts to work for you. Founded in 1997 and headquartered in Atlanta, GA, AIS Media is an award-winning digital marketing agency. Our digital marketing programs help leading companies and organizations attract, engage and convert new customers. At AIS Media, we blend our deep understanding of customer behavior and cutting-edge technology to attract, engage, and convert target audiences. Hundreds of businesses like yours have selected AIS Media as their trusted digital marketing partner. B2B marketing is often highly complex, with long buyer cycles and high-risk decision making. 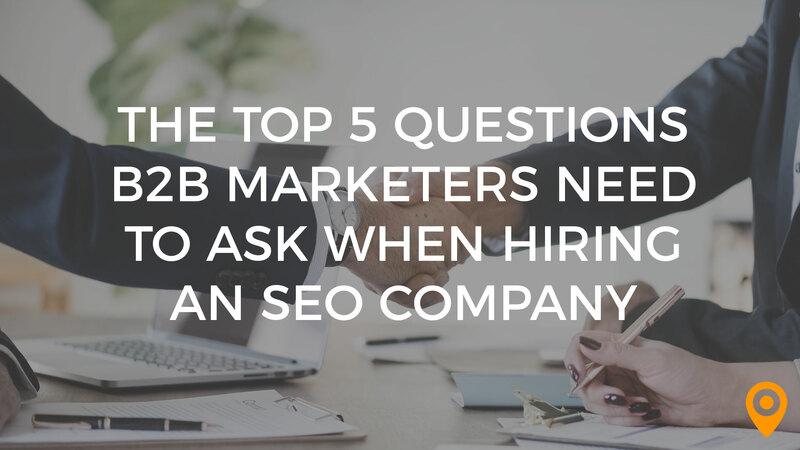 Find out what questions to ask an SEO company before hiring them. The entire team at AIS media is incredibly responsive, proactive and professional. As a client, they provide attentive and dedicated service. Every deliverable and timeline is always met and they consult on best practices and strategies that drive results. The only thing I would change is not having to communicate with their team through the basecamp project management tool. It can be cumbersome if you need to respond back and forth. Our experience working with the AIS media team has been outstanding! I would highly recommend their services to any business looking to enhance their online presence, SEO and PPC strategy! They are truly the best! Sam, Denise and Mary are great and help our business with content blogging, web development, and SEO. Everything is so organized and they follow-up with projects in a timely manner. Not about them - I wish I knew more about web development! They break things down so you can understand. The world wide web is a confusing concept for me to grasp but AIS Media make it seem like they are up to date on what's going on and how it could help your business. Working with AIS has been great. When I came on board in my current role I was new to SEO with only fundamental knowledge. They took the time to really break things down for me and help me understand everything, and why certain approaches and strategies should be taken. They are always up to date on the latest and greatest and fill us in immediately as soon as they catch wind of any alerts/updates that could impact our SEO. They are also constantly bring new ideas to the table for us to kick the wheels on. They are professional and responsive, with a vast knowledge of SEO and PPC that makes them a great vendor to partner with. I don't have any negative feedback to provide. I haven't had a bad experience with them to date. Fantastic. I would definitely recommend their services. Execution and follow up was good. Did what they say they would d everytime. All good. Still a client due to proven results. AIS assigned a team for us to work with. Gordon, Sam and Denise are extremely professional and know media marketing. They helped us every step of the way to achieve better content, key words as well as video marketing. I have no complaints, loved working with the entire team. They are very knowledgeable and handled things very professionally. I have no complaints. Everything has been really good. It’s been a wonderful experience! Looking forward to working with them for a long time. The ongoing SEO reporting was very helpful in monitoring the success of our website and the SEO team at AIS provided helpful suggestions and strategies to guide us to further success. Maintenance was sometimes difficult to communicate with. Overall our team had a positive experience with AIS in the development and ongoing reporting for our web site. They were in contact with us on a regular basic to discuss what we were or weren't seeing. And they worked with our website people to make sure things were functioning properly. Trying to understand all this stuff that sometimes I have no idea about, but they did a great job explaining it to us in regular people terms. It was good overall and they do a great job writing the blogs for our site as well. We've gone through a few SEO consultants before landing with AIS. AIS had competitive pricing and a very structured and sustainable approach to SEO. Our team has strong technical capabilities and we've focused too much historical efforts on technical improvements for SEO. AIS quickly identified that content and content style would be the main driver of our SEO success, with their guidance we rewrote the entire site and we're now seeing very tangible growth in organic visits and conversions. They continue to be solid strategists for our SEO. It took us a little while to get the project going because we were at the time limited to and asked to achieve a list of 100 keywords. The process of picking 100 keywords was tedious and went back and forth for a few weeks. It also felt "final" given the way the company built the number of keywords into our agreement. I would have preferred an iterative approach where we just built up our keyword list over time and weren't limited right off the bat. It is to my understanding that AIS media has taken some of our experience with this kickoff and made some adjustments to new clients. Overall our company is happy with the structured approach to SEO that AIS media brought us. It continues to be a sustainable relationship and we're excited to keep it going. I love how thorough the AIS Media team is. They always check back to make sure we have received correct info, and they often go above and beyond to help ensure our website is operating at its full capacity. I'm very grateful for the help of AIS Media in managing our website. I wish I had time to connect with AIS media more often because they offer such valuable insight and assistance with our website. Always a pleasurable and very positive experience working with AIS Media! The team that assisted me while I was setting up my entire Marketing department was detrimental to our success in the long-term. I had access to content marketers, SEM and SEO specialists, as well as the product management team to assist with marketing strategy. The least I liked about AIS Media is that I could not have a team like them in-house. The overall experience with AIS Media was pleasant and professional. No roadblocks or surprises that impacted our business negatively. I would recommend AIS Media to anyone looking to jumpstart their Marketing department and keep it trending in the right direction. AIS has done wonders for our Photography company, James Hill Photography. Last year we were many pages back on google. Today, I am proud to say, we are on the first page for almost all of our key words. They are always patient with us, as our schedules have gotten quite busy. Sweet, kind, wonderful people and truly life savers for our business. I highly recommend their services. There is nothing that we don't like about working with AIS. They have absolutely taken care of us. AIS has done an amazing job for James Hill Photography. The blogging, the SEO and the web presence has all improved. Overall experience has been better than expected. Its scary making a financial commitment, especially when your business is failing. However, the outcome was better than expected. Thank you AIS! We are assigned a team of 3 experts and use a cloud based project management system to track changes, progress, to do's, etc. Our team is always available for questions or concerns. AIS understands SEO and has a proven process to deliver results. We are completely satisfied. We have only been a client for 4 months but have seen big improvements so far. I know we will be with them for the long haul due to their professionalism, intelligence, tools / reporting and process. We have been through multiple SEO firms and am thrilled to have found AIS. AIS gets it! AIS has been great in all regards. Attention to detail, timeliness, listening to questions and concerns while providing guidance and answers, great communication and professionalism. You get what you’re looking for and more. This question does not apply to AIS. Happy to say nothing to add in this section. Would recommend them to companies of any size. Always appreciate great personal service with open communication to go with top notch results. Denise and her team are both responsive and passionate about effectively achieving marketing goals and bottom line initiatives. Lead generation and conversion was top priority for the AIS Media team. They really "get it". I can honestly say that every plan of action was professionally executed in a timely manner. There was nothing I did not feel comfortable about because the reporting really illustrated our progress. We established a trusting relationship and set expectations early on in the process . Great business minded marketing firm! The experience was a true partnership. AIS Media acted as an extension of our company's brand, reputation and organizational strategy. Denise and her team are communicative and proactive about performance reporting and showing results!! My professional experience working with AIS Media is one that I will never forget because of how much I learned from their team of experts! Yes! EXPERTS! Their response to questions is always prompt and informative, helping make my job easier. I have no complaints regarding my work with AIS Media, Inc. Exceptional service from very helpful and knowledgeable people, offering a true collaborative experience. Very professional organization. Gave us a personalized strategy to meet our needs, not a cookie cutter plan like the other guys. No real complaints to share. Over the long haul they have repeatedly come through for us. We have utilized AIS for about ten years now. They have done a great job of keeping us with the latest trends so we can focus on our business. AIS Media is great to work with, they are making a big impact on our sales performance. AIS works with our needs and reaches the kind of potential clients that we need to grow our business. I would recommend them to anyone interested in reaching more leads. Communication. I believe one of their strongest business advantages is they way they communicate with their clients. They listened to us and were able to provide great industry feedback and expertise to meet our business needs. We set up a bi-weekly call to review our projects and to evaluate our progress. This allowed us the opportunity to see what was working and what needed to be modified. They were with us every step of the way to make sure we were successful. No dislikes with AIS, strong team and great business partners. Overall great experience with AIS. They have the industry knowledge and expertise that sets them apart from the competition. Keep up the great work team AIS! Responsive. Knowledgable. Adaptive. Prioritize customer service. Dedicated project manager. No complaints. No complaints. No complaints. No complaints. We turned to AIS Media when we were in need of a quality, customer-service-focused, "roll up your sleeves and make things happen" creative agency to partner with us in an innovative branding initiative involving 135+ individual entities within a previously non-brand-unified organization. It was a HUGE task with considerable political and bureaucratic overlay, but the AIS team was up to the challenge. They rode the waves with us -- delivering quality creative materials and excellent project management. Wonderful team to work with, they are incredibly knowledgeable in all things digital. So far I have had no issues at all with AIS, will update if anything changes. Would highly recommend using them if you are looking for a great Digital Agency. We have been working with them for nearly two years and they have helped our organic traffic tremendously. Have used them many times for sales training and consulting and always had a great outcome. Easy to work with company. They understood what my company was looking to do. Very responsive group who wanted to help grow our PPC campaigns. Would totally recommend! Didn't have any issues with AIS Media. We were limited by budget and staffing resources. But AIS didn't care. They did the best with we could give them. When our previous PPC company went out of business overnight, we needed to bring on a group who was a lot more stable than the company we were working with. AIS Media mentioned that they've been in the business since the 90's. That sort of stability was a huge factor in our decision making. Both of our account reps met with us bi-weekly and provided suggestions to improve our PPC results. Really glad we went with this group. AIS is one of the most knowledgeable marketing agencies I've had the pleasure of working with. They are organized, communicative, and tailor a strategy specific to your business and goals. They not only 'talk the talk' but back strategy with actionable items to reach measurable goals. I have nothing negative to say about the AIS team. Our company's experience working with the team at AIS has been great. Overall, I would recommended AIS to any business, small or large, local or national. Personalized and tailored service to fit my needs. They really care. Not enough money to spend with them. I wish I had more funds. When it comes to SEO, they are hands down the best! They professional, timely, relative, effective and effective with a solid ROI. None that we can think of... they were very responsive, took detailed notes of our requests, and presented us defined SEO strategy that has been fruitful. I highly recommend AIS Media. I've never had an SEO representative breakdown of our company's traffic, analytics, potentials and projections like AIS Media. Clearly, from the start, they know what they are doing and took charger in producing sustainable and attractive results. We felt confident that our money was invested wisely from day one. I enjoyed the ease of doing busibess with. AIS Media best. There eere never any surprises. Always upfront and very detailed in their communication. We had a wonderful workung realtionship with their entire team . Management was also very hands on and invloved with the project. The project managers were top notch professionals. I would definitely hire yhem again. One of my first experiences with AIS was a content strategy assignment for a Fortune 50 client. It was a high profile, ambitious positioning challenge requiring top drawer focus and vision. AIS delivered on all counts. They unified a disparate team and gave internal stakeholders a single source for accountability. I found AIS to be persistent, effective managers who were able to cultivate and maintain strong relationships with more than 20 distinct client contacts. Often their clients needed a good bit of strategic support and education, which AIS capably provided. However, this proved quite difficult for their development team. It was hard to project workflow because content and imagery "to be provided" by the client was sometimes slow to materialize. While working together, we created some stellar digital experiences and content. I learned a great deal about cultivating consensus and leading a team toward a common goal. AIS Media was a pleasure to work with. Since we last worked together, the firm has refocused on SEO. But clearly their digital marketing skills are very, very strong. This perspective on the entire digital experience makes them an exceptional partner. It was easy to work with AIS Media. They madr the process simple and seamless. No services were we disappointed with. I can not complain about anything done. Overall we were very satisfied with all services received to date. AIS has been great to work with for SEO because they're thorough and provide education when needed. There's a lot of material to cover which can be overwhelming to the layperson. Very professional with good communication. The delivered on what was promised. I can not really think of anything that was not done as planned. In addition to the cutting-edge insights and above-par work product, I genuinely appreciated the relationship with the AIS team. From start to finish, I felt as though AIS was more invested in our success than any marketing agency we worked with previously! As a small internal team, we relied heavily on the AIS team's expertise and we saw ROI in spades. Thus my only regret is not leveraging that expertise more extensively throughout all areas of our marketing. My overall experience working with AIS was great! I appreciated the team's ability to not only understand our marketing challenges and opportunities, but to produce and execute an attack plan that compounded our efforts and generated results that exceeded our expectations. Can't thank them enough! Having a dedicate team that truly cares about your company goals and mission. Our experience with the AIS team has been all positive. The AIS team are super knowledgeable, approachable and responsive. They truly become one with the client and blend right into the team making it easy to get things done. AIS experience and knowledge, teamwork and great customer service has made it a pleasure to work with. More concise and black/white idea of what SEO will do for the client and step by step, or a checklist for implementation. Working with AIS has been a great experience, they are very responsive and knowledgeable. Great addition to our service offering. AIS takes a practical approach to SEO offering actionable solutions and strong consulting to help guide our clients. I rely on them as a partner-of-choice when it comes to SEO/SEM. I look forward to many more projects together. I would like more educational and guiding material for my team and my clients. I think AIS has the expertise and could translate that into more "how-to" or "do-this" sorts of information. It was a solid experience. Over time, we have worked together on about a half-dozen projects and the relationship has gotten better and more reliable with time. AIS Media is customer focused and make an effort to provide direction and recommendations on digital. They will always make recommendations based on best practices and they stay current with the changing tides of digital. They are great! Nothing not to like! I couldn't say anything negative as they are a great team with positive people who care about their work. AIS Media is fantastic. They know digital. Professional and customer focused as well! AIS Media has extensive experience in this industry. There are many competitors in the market, but AIS is heads above all the others with their top-notch team of experts. Every resource we have worked with has been honest, dedicated, and committed to our success. It takes time for your [organic] position to improve online, that's not the "fault" of AIS, that's the nature of the search engines. We all wish we could have overnight success. Collaborating with AIS has been a fulfilling experience, because they have such a deep bench of experts to work with. However, beyond the expertise, AIS has great, friendly and fun people that make all interactions something to look forward to. AIS Media, Inc. commented on review. Nothing! Everything was great! Nothing wrong with them. Great experience so far, clear and concise and to the point on what each objectives they will overcome each month and how those goals are completed over the course of 30 days. AIS Media is extremely professional. They have an abundance of expertise. Especially Denise Maling and her team. I thoroughly appreciated their input on making my business the best. I have nothing negative to say. AIS media kept me on track throughout the project. Made me feel like I was their number one client. No matter the size or cost of the project. My experience was incredible. Their outstanding service and competitive pricing makes them stand out from the rest. I have seen great results from working with AIS Media. Their teamwork, communication and responsiveness make it a pleasure to work them. All of my experiences with AIS have been great. Not one negative experience that I can say. AIS is an expert in their field. Their process provides quality results. I look forward to working with them for many years to come. The people and their honesty. They give very earnest feedback on any matter. Denise especially has been very upfront but also kind. Everyone there seems extremely knowledgeable and have contributed to one of the best experiences I’ve had with an agency. I suppose the brevity of our interactions. You just don’t find that kind of quality in an agency. Very pleased and I wouldn’t hesitate to contact them again. Thorough, knowledgable, expert advice with the experience to back it up. Easy to deal with, great service and follow up on concerns. SEO means different things to different people. You will get your money's worth but prepared for a wakeup call if you think this is easy work. Excellent. Highly recommend the AIS Team not only for their expertise but also for working within budget constraints, crazy schedules, and making their clients look like rock stars! The team at AIS really understood my objectives, and which marketing methods would help achieve my desired result with the least spend possible. Hmm... not sure. They validated my parking, had bottled water waiting for me, and a giant candy bowl on the conference room table. What's not to love? Fantastic. AIS demonstrated strategy on the front end, and regularly communicated with us about the status of our ongoing initiatives. They provided recommendations based on the performance of our campaign, and had an amazing tool which helped them/us evaluate how we were doing. Great experience all around. Everyone I've interacted with at AIS Media has been very pleasant and responsive. It's clear that they care about their clients and aim to develop high quality, tailored content. I'm not able to come up with any negatives about AIS Media. I've had a great experience with AIS Media. They have a versatile team who is capable of serving clients in across a variety of industries. I cannot really think of anything that we did not like about working with AIS. Our overall experience is excellent. They learned how our Company works, what we do within our industry, what we wanted to project from our web site and did it with caring as to how we could generate leads and attention in the IoT space. I enjoy how ais media educates me on their suggestion and why they know it would work. It makes me feel apart of the process. I can honestly say, I haven’t had a bad experience. Ais Media is by far one of the best marketing agency I’ve ever worked with, they over deliver and provide all the data within my budget. Great responsive team has helped my client obtain page 1 positioning on dozens of important keywords. Provides solid metrics every month along with recommendations on site improving performance for 2 different divisions. Excellent company! We've worked with AIS Media for over 10 years and I really can't think of anything we've had concerns about. AIS Media is a collaborator we can always rely on for new ideas, critical optimization work, quick followup on questions and professional advice that ensures my client's top performance — consistently — within their category.